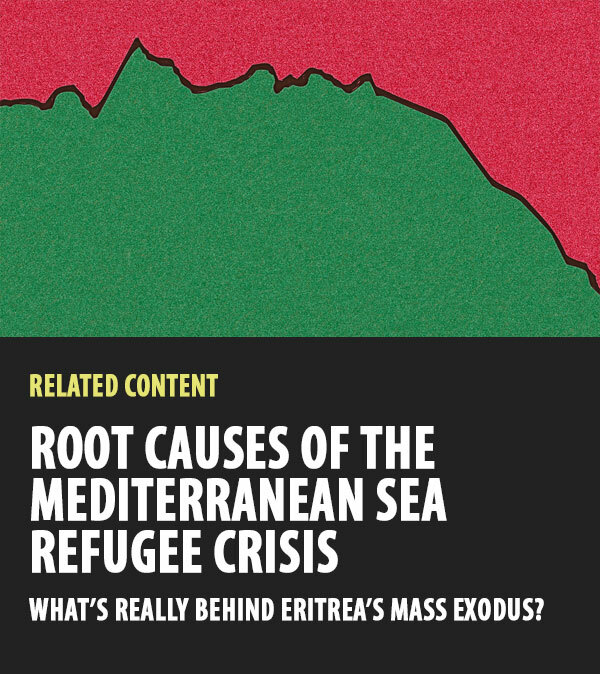 This interactive map is part of an ongoing series examining the Eritrean refugee crisis. The plight of Eritrean refugees crossing desert and sea in search of freedom and security has been well-documented. However, the root causes that drive people to seek protection afar are not well understood. Here, we present a visual explanation of the Eritrea-Ethiopia border conflict. Click or tap and then slide the images below to learn more about the border conflict between these East African neighbors. Eritrea and Ethiopia are located in the Horn of Africa and share a long and complicated history. Eritrea gained independence from Ethiopia in 1991 after a 30-year war, and the U.N. recognized it as a country in 1993. Previously, Eritrea was colonized by Italy and federated with Ethiopia. The border depicted here is the one the Eritrea–Ethiopia Boundary Commission delimited. Commissioners used the countries’ respective claims, along with colonial treaties from the early 1900s, to guide their decisions. Eritrea claimed and was denied about 880 square miles of land. This area represents about 2 percent of the country’s total geographic footprint. Ethiopia claimed and was denied about 2,040 square miles of land. Ethiopia is about 10 times larger than Eritrea, so this area represents only about .5 percent of its geographic footprint. About 72 percent of the shared border was disputed. One point of contention was a region in the west. Ethiopia claimed and was denied a large swath of land here. The town of Badme was a particularly important flashpoint. The commission ruled Badme to be part of Eritrea, but it is nonetheless now administered by Ethiopia. Barren, uninhabited land composes much of the border region, although several small towns are in close proximity to the border that the commission defined. Special efforts were made to place inhabited areas on one or the other side of the border. 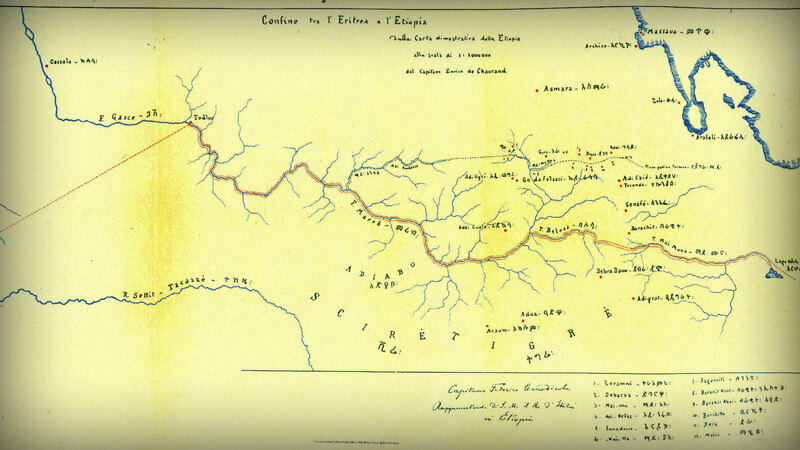 For example, the border was delimited to award Tserona to Eritrea and Zalambessa to Ethiopia. The Eritrea–Ethiopia border dispute involves a relatively small amount of land, much of which is barren. But the conflict has simmered for over a decade. The Eritrean government cites the border issue as a justification for indefinite national service. Both countries have been involved in border skirmishes, and the specter of renewed war persists.